Spectrometer is a spectroscope equipped with devices for measuring the frequencies of the radiation observed by it. Spectrometers were developed in early studies of physics, astronomy, and chemistry. It is the study of interactions between light and matter, and the reactions and measurements of radiation intensity and wavelength. 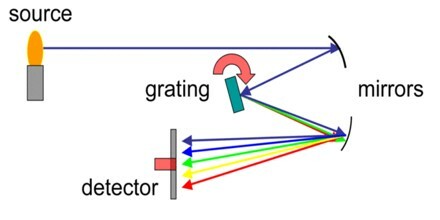 The concept of a spectrometer now encompasses instruments that do not examine light. While it provided a theoretical backing to early quantum research in radiation and atomic structure, it also has a staggering number of other applied uses; Magnetic Resonance Imaging (MRI) and X-ray machines utilise a form of radio-frequency spectroscopy, we measure the unique makeup and physical properties of distant astral bodies through their spectra and wavelength, and it’s even used to test doping in sports. Spectrometers the chief instrument used in spectrometric analysis, which are specialised pieces of equipment that measure radiation types and wavelength. Spectrometers separate particles, atoms, and molecules by their mass, momentum, or energy. 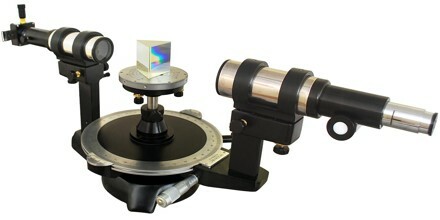 These types of spectrometers are used in chemical analysis and particle physics. Mass Spectronomy – Sorts and measures masses within a chemical sample through their mass-to-charge ratio. This is usually done by ionizing the particles with a shower of electrons, then passing them through a magnetic field to separate them into different stages of deflection. Once the particles are separated, they’re measured by an electron multiplier, and we can identify the makeup of the sample through the weight of each ion’s mass. Practical uses of Mass Spectronomy include isotope dating and protein characterisation. Independant roving space exploration robots such as the Mars Phoenix Lander also carry mass spectrometers for analysis of foreign soils. Matter and Energy – Spectrometry is based on interactions between matter and energy. A sample stimulated with a specific kind of energy will respond in a way that is characteristic of the sample. Depending on the method, a sample responds to an energy input by absorbing energy, releasing energy or perhaps even by undergoing a permanent physical change. If a sample gives no response in a particular instrument, there is information in that result as well. Biomedical Spectroscopy – This is a great example of the multidisciplinary nature of spectroscopy. Magnetic resonance spectroscopy (a subset of MRI) is often used to diagnose and study chemical changes in the brain which can cause anything from depression to physical tumours, as well as analyse the metabolic structure of muscle. This works by mapping a spectrum of wavelengths in the brain that correspond to the known spectrum, and carefully analysing patterns and aberrations in those patterns. 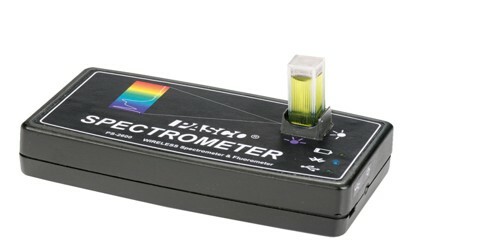 Ultraviolet (UV) Spectrometers – Ultraviolet (UV) spectroscopy works on a principle similar to that of colorimetry, except it uses ultraviolet light. UV spectroscopy is also called electronic spectroscopy, because the results depend on the electrons in the chemical bonds of the sample compound. Researchers use UV spectrometers to study chemical bonding and to determine the concentrations of substances (nucleic acids for example) that do not interact with visible light. Atomic Spectrometers – Atomic spectrometers are used to find the elemental composition of samples and to determine the concentrations of each element. There are two basic types of atomic spectrometers: emission and absorbance. In either case a flame burns the sample, breaking it down into atoms or ions of the elements present in the sample. An emission instrument detects the wavelengths of light released by the ionized atoms. 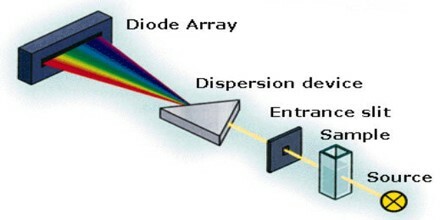 In an absorbance instrument, light of specified wavelengths passes through the energized atoms to a detector. The wavelengths of the emissions or absorbances are characteristic of the elements present. 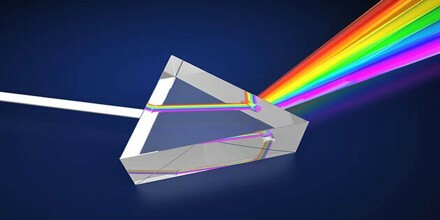 The study of spectrometry dates back to the 1600s, when Isaac Newton first discovered that focusing a light through glass split it into the different colours of the rainbow, also known as the spectrum of visible light. 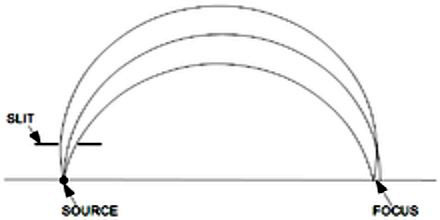 The spectrum itself is an obviously visible phenomenon; it’s makes up the colours of the rainbow and creates the sheen we will see on the surface of a puddle, but it took centuries of piecemeal research to develop the study of this phenomenon into a coherent field that could be used to draw usable conclusions. Simply put, as natural light filters from space from celestial bodies such as the sun, it goes through various reactions in our atmosphere. Each chemical element reacts slightly differently in this process, some visibly, those on the 390-700mm wavelength which detectable to the human eye and some invisibly. Reference: atascientific.com, sciencing.com, dictionary.com, wikipedia. How to add Minutes and Seconds?